Prices increased 15 Apr 2019. Jobs in the Shop before the increase remain at original rates. 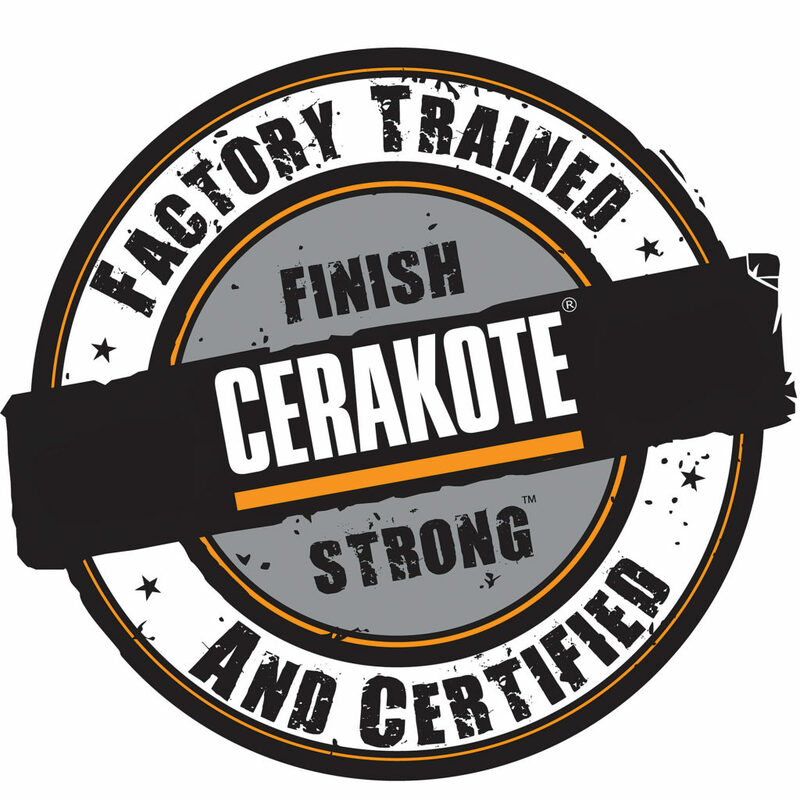 We are the area’s only Factory Certified Cerakote Applicator! We are listed on the Cerakote website. Cerakote pricing is under review. Once the pricing is available it will be published here. Search the picture gallery and find the designs you like. Bring us some pictures. We will help you develop a plan for your gun.